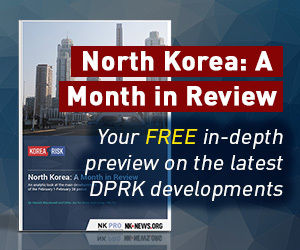 Last week, for the first time in a decade, a South Korean train rolled into North Korea in order to conduct a joint survey on the possibility of connecting North Korea’s decrepit railways to the South’s. Although the international media duly covered that this was happening, the true significance of this event is not being adequately appreciated. 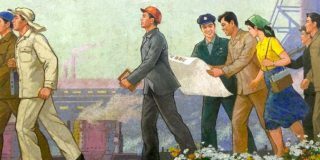 In its scale and ambition, the Inter-Korean Railway Project is quite unlike any other previous project involving North Korea, and the beginning moment of this project may well be one for the history books. The economics of the project, estimated to cost approximately USD$35 billion, is unprecedented: if completed, the project will be the largest foreign investment into North Korea by a significant margin. When the joint survey was announced, Seoul’s stock market soared, with some rail-related companies’ shares jumping by 20 percent overnight. 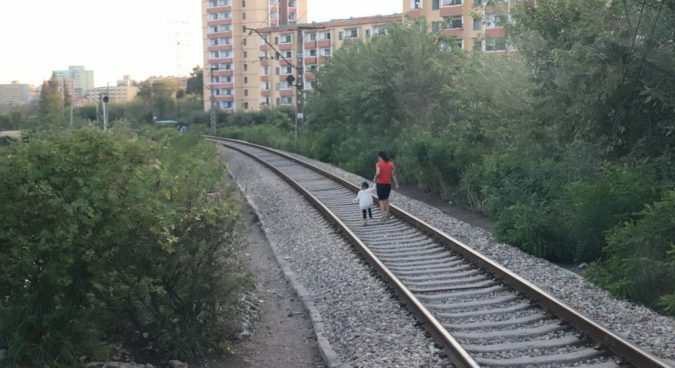 Currently the North Korean rails are in such poor shape that trains can only average 50 kilometers an hour, and the rails would break under heavy loads. The Inter-Korean Railway Project will modernize six rail lines traversing North Korea, and add a high-speed line from Seoul through Pyongyang and ultimately to Sinuiju, where the rail would cross the Chinese border and link up to Dandong, China. Retrofitting the rails would allow speeds of 100 kilometers an hour in the regular lines and enable heavier loads. The renovated rails would connect to Russia’s Trans-Siberian Railway and China’s One Belt One Road initiative, allowing the overland travel of South Korea’s people and goods all the way across the Eurasian continent. However, what the Inter-Korean Railway Project signals as to the intent of North Korea and the United States may be even more significant than its economics. For North Korea, the fact that the Inter-Korean Railway Project is moving forward is a major departure from its modus operandi. This candid admission from North Korea’s leader was a level of openness that was previously unheard of. With the joint survey, North Korea would be displaying even more openness by disclosing the state of their key infrastructure to South Korea. In fact, the state of its rails would not be the only thing that North Korea would be revealing to South Korea through this joint survey. In his book, Thae noted that North Korea has constructed a massive shoreline defense along its east coast, to prevent a reprise of the Battle of Incheon in which the UN forces, led by the United States, made a surprise amphibious landing behind the battle front to turn the tide of the Korean War. Thae dismissed the Inter-Korean Railway Project as “empty talks,” as renovating the Donghae Line—which travels along North Korea’s eastern coastline—would require North Korea to move its shoreline defense. Yet the joint survey to be conducted includes a South Korean test train traveling along the Donghae Line, revealing all of North Korea’s battlements along its tracks. The on-the-ground military intelligence to be gathered by the South Korean survey team would be invaluable, and North Korea, it seems, is letting it happen. The implication for the United States is even more intriguing. Outwardly, the U.S. is maintaining a tough stance on North Korean sanctions; as recently as last month, U.S. Secretary of State Mike Pompeo reiterated that there will be no relief on North Korea sanctions until full denuclearization is achieved. 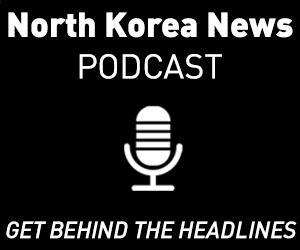 With South Korea moving more toward cooperation with North Korea, there have been constant refrains on how South Korea and the United States are moving at different speeds, creating a rift in the alliance. 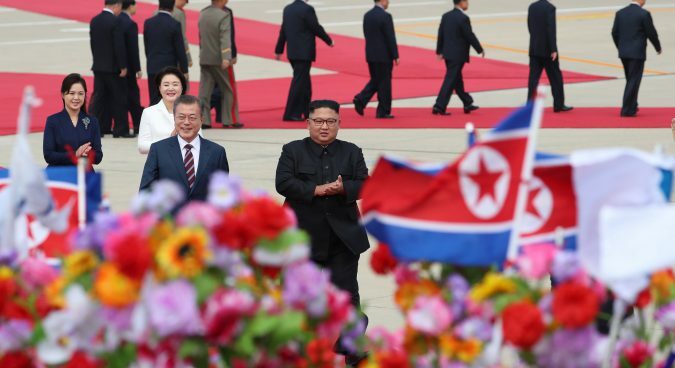 Many took this remark to mean the U.S. officials were unhappy with the progress in the inter-Korean relations, as it seems to move faster than the progress in North Korea’s denuclearization process. Yet the fact that the joint survey for the Inter-Korean Railway Project has begun seems to indicate that those concerns are overblown. 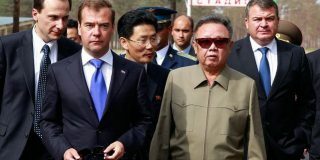 Because the survey requires fuel and equipment to be brought into North Korea, it required a special approval from the United Nations Security Council to make exception for the UN sanctions over North Korea. Although the UNSC includes the United States, the survey obtained the exemption from the sanctions. This exemption from sanctions given by the United States, in its role as a member of the Security Council, does not appear to be accidental. 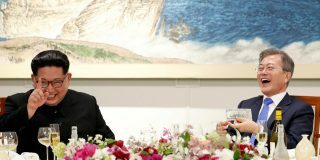 In a working group meeting between U.S. and South Korea, Stephen Biegun, Special Representative for North Korea for the US Department of State, expressed “strong support” for the joint survey. Significantly, Special Representative Biegun was giving his support for the joint survey to his South Korean counterparts precisely at the same time as Secretary Pompeo was delivering his remarks on the need for the denuclearization process to keep pace with the inter-Korean progress. 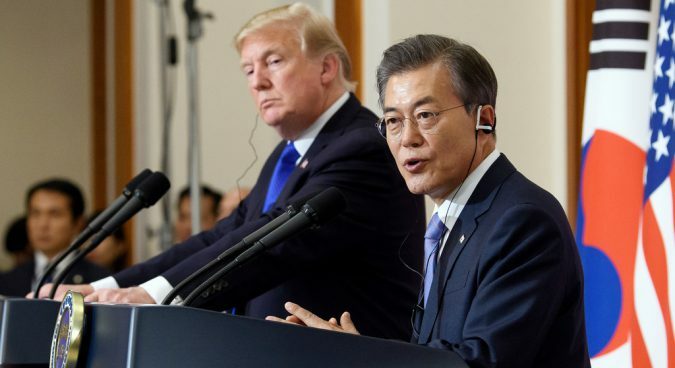 Rather than being displeased with South Korea’s efforts for better relations with North Korea, the United States appears to be quietly backing such efforts, at least as to certain projects. For all the talks of impasse in the denuclearization negotiations between North Korea and the United States, we may be witnessing the U.S. coming around to the idea of limited sanctions relief in exchange for progress in denuclearization. 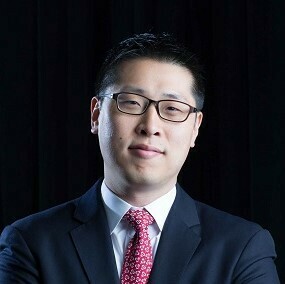 S. Nathan Park is an attorney and frequent commentator on Korea. His analysis has appeared on the Washington Post, Wall Street Journal, Financial Times, the Atlantic, Foreign Policy, and others.